The Pre-Prep consists of Reception and Key Stage 1 (years 1 and 2). The year groups are three form entry, with class sizes between 20 and 22. Each class has a full time teacher and teaching assistant. On joining in Reception, the children stay together as a class until the end of year 1. They are then mixed each year from year 2 to year 6. This provides an opportunity for all the children to know each other. Core lessons, and French, take place in the classroom. 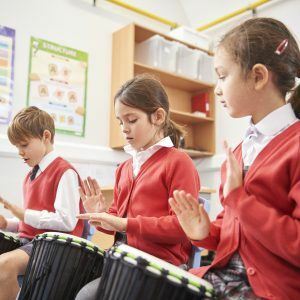 Onsite facilities for sport and subject rooms for music, art and drama provide space for the children to be taught by experienced specialist teachers.